World Literature is a year-long class fulfilling the tenth grade English requirement centering on global literature and its culturally specific themes, characters, motifs, and ideas. Nobel Prize winning author and poet, Alexander Solzhenitsyn, believes that literature bears witness and that world literature is “the one great heart that beats for the cares and misfortunes of our world, even though each corner sees and experiences them in a different way.” Students’ study and academic discourse is complimented by an investigation of artistic and historical accomplishments that contribute to different world cultures. Throughout the year, students are called to remember that they are the heroines who strive to be “all of which woman is capable” in their own life journeys. In World Literature, various OLP themes are used to inspire an exploration beyond the school’s community as literary texts from those who have gone before us are read, observed, and analyzed so that our students might become better leaders for the future. 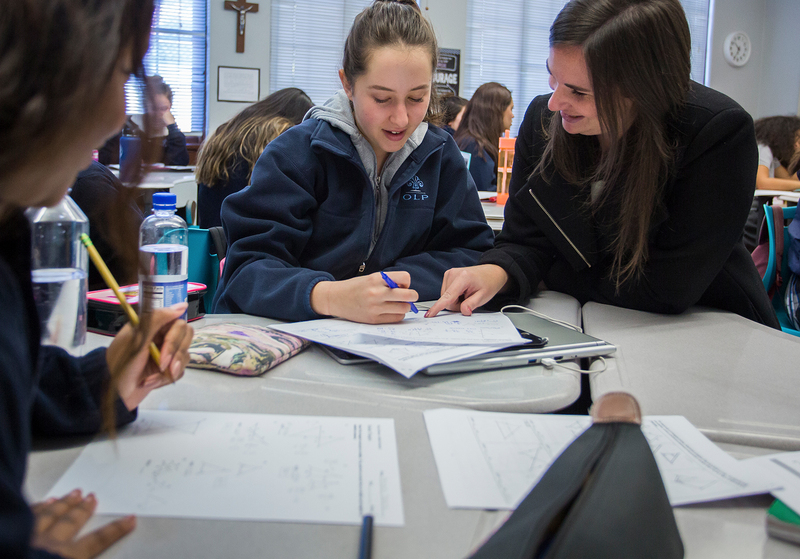 Finally, as students explore stories from around the world, they will be invited to consider peace in the context of social justice and Catholic social teaching, as they relate to diverse cultures, ethnicities, and religions. Learning objectives are rooted in the Common Core standards for the state of California.